Are Psoriasis Free For Life & Fast Psoriasis Cure eBooks A Scam? 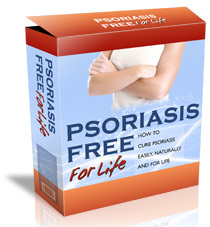 →Are Psoriasis Free For Life & Fast Psoriasis Cure eBooks A Scam? Are psoriasis free for life & fast psoriasis cure eBooks a scam? And let’s not stop there, what about banish psoriasis and psoriasis cleanse eBooks? First of all what is the definition of scam? Noun: A dishonest scheme; a fraud, a racket. Verb: swindle, cheat, deceive, trick, dupe, hoodwink, doublecross, gull. Just in case you land on this page from a Google search whilst trying to find independent reviews about one of the aforementioned books with your credit card in your hand ready to purchase, STOP! The quick answer is that all these books are scams to a certain extent. Please read on to find out exactly what I mean. The people who write these books know that psoriasis sufferers are perfect to sell to as they would pay anything to rid themselves of this chronic skin disorder. In marketing terms, this is called a desperate market. Let’s put it another way. If you owned a restaurant and wanted it to be a success, which one of the following options would you choose? Option 3 is how these unscrupulous entrepreneurs think of psoriasis sufferers when they decide to invest money in creating these 40 page flimsy eBooks. They see a crowd of hungry people who will buy anything hoping that this will finally “cure” this complicated skin disorder. They then pump money into spamming the internet with crappy press releases and eBook review websites that they outsourced to some company in the Philippines. Below is a quick summary of these eBooks and also what stands out that makes them seem shady. The Sales page leads with “Professors Predicted I Would Die With Psoriasis. But Contrarily to their Prediction, I Cured Psoriasis Easily, Permanently & In Just 3 Days. The sales page uses every sales tactic to the extreme : sensationalist headings, descriptive emotive texts, wild customer testimonials, stock photo type before and after pictures, price reduced from 97.99 to 29.97, 60 day money back guarantees and more. Also forgot to mention when I try to close down the webpage I get this utterly annoying pop up message, grrrrrrr! ON THE NEXT WINDOW TO SEE THE SPECIAL FAMILY DISCOUNT OFFER! To tell you the truth I have no real issue with the content, but it was the BS quotes about curing her psoriasis in 3 days that is so misleading to people who are in a very tough place mentally when suffering severe psoriasis. I honestly cannot read this sales page anymore as it is raising my stress levels too much. This is an exceptionally well put together sales page. Just rereading it now, I nearly got suckered into buying it to see what he claims works. Truth be told this looks like a more meaty version of the above eBook. It is nearly twice the size and the chapter titles look interesting. I cannot claim I know what is in it but if its about treating the root causes of psoriasis, then you will again be buying information that is freely available everywhere on the internet and especially on my website. I have no issue with the information as it will improve your psoriasis. However the headlines used are just plain lies. There is no cure for psoriasis. Unfortunately, the best you can hope for is to control it through diet, supplements and healthy living. He uses 9 video testimonials that were obviously fake. No one I know with psoriasis refers to their psoriasis as a rash (If only it was a simple rash!). And then the others are just paid testimonials that you can buy from places like fiverr.com. The reason why this is a step up from the previous eBook’s sales page was the fact that the copywriter nailed all the text perfectly except for the sensational headlines “Psoriasis Guru Reveals Method To Cure Psoriasis In 3 Days Or Less” and “Amazingly, Nearly ALL psoriasis sufferers who used this method were 100% cured in less than 30 days”. Ah come on now Mr Taylor, if you’re going to claim this sort of results, it would be nice of you to provide more information about these tests, at least the sample size for these fantastic results! Be very careful with this sales page. It is beautifully crafted, less spammy than the psoriasis free for life eBook, but still contains all the sales page tactics that internet millionaire marketers use. I am not doubting that the information contained within works to some extent, but it will be the exact same information you will find on this site or on psoriasis forums like inspire for free. In all honesty, I think the addition of the BS video testimonials is what really turns me off this eBook and makes this product a real scam. This book was simply made to cash in on a desperate market. I have actually heard stories about the creator of this eBook. It is allegedly a U.S male internet marketeer who ironically suffers from psoriasis. I presume he didn’t put his name on it as he was ashamed of his own product and therefore this book is a total scam. He basically knew the target market audience he was trying to reach was middle aged American women, so he ensured his fictitious author was the same demographic. Dave from www.psorsite.com did a fantastic review of this eBook. It was funny too, so I have copied some of the best bits below. He has a great site by the way so check it out when you get a chance. A review of the eBook, Banish Psoriasis for Good, by Katy Roberts. Whether the advice in the book can banish psoriasis is open to question, but it will definitely banish money from your wallet. I bought this book so you don’t have to. Seriously, that’s how bad this “eBook,” Banish Psoriasis for Good, by Katy Roberts, is. When writing a review, one is supposed to find something good to say about the subject, but honestly, there’s nothing here. It is consistently and completely bad, and I’m not just talking about the numerous spelling and grammar errors. At only 35 pages, it’s more of a pamphlet than a book, and it would have been even shorter had it not been for all the double-spacing (and even triple-spacing!). To make matters worse, most of it is available for free, elsewhere. The first sections consist of general information about psoriasis and autoimmune diseases, and then one is treated to a copy of what appears to be an older version of much of the text of the Banish Psoriasis homepage itself. Who the author is? Who puts a photo of themselves on the Web and names the file “pretty_middle_aged_woman.jpg?” Nobody who cares about whose face is in the photo, that’s who. And it seems that the person who created the Web site for Banish Psoriasis doesn’t care, because that same photo appears on another Web site advertising an eBook called Banish Shingles for Good , and the photo is alleged to be of a person named Andrea Mathews, instead of Katy Roberts. The banish psoriasis eBook is a total scam and should be avoided at all costs. There was absolutely no good intentions by the creator of this eBook. He only saw the dollar sign and a desperate audience. It’s basically the makers of psoriasis free for life repackaging their same crappy eBook under a new name. It seems that Anthony Taylors eBook must have impacted on their profits so they decided to come up with a new authoritive head of this eBook. Move over Kathy Wilson, it seems you are no longer smart enough to spearhead our ebook dynasty, we now require someone with a bit more going on between the ears, introducing the beautiful “Biomedical Researcher”, Miss Sheri Green! Wow, it seems like poor Sheri also got called exactly the same nick names as Kathy Wilson, “dragon lady” and “leper”. Give me a f**king break. When will these bullsh1t artists stop. My blood is rising again so I have to keep the review of this book short. Keep well away from this thrash product. It is basically a rip off of psoriasis free for life but updated to take on Anthony Taylor’s fast psoriasis cure. One thing I also noticed is that Alisha from Beinginmyownskin (of whom I am a big fan) published a guest post from this “author”. I hope she didn’t realize at the time that it was a fictitious author who just wants to take advantage of people with psoriasis. What should you do if you are new to psoriasis and want to “cure” it naturally? You need to ask yourself a question. Imagine if you were able to cure your own psoriasis through certain changes to your diet, wouldn’t you want to tell every other person who suffers from psoriasis how you did it? Would you charge 29.97 for it? That is the reason I wrote my Smart Psoriasis Diet Plan and put it up on this site for free. It has all you need to know to help you improve your psoriasis and get it under control. I am now up to the 3rd edition of that 34 page eBook and I am very proud of it. It includes everything from foods to eat, supplements to take, raw juicing guide, easy detoxing guide, foods you must avoid plus lots more so it is up to you to take action and start living a psoriasis friendly lifestyle. All the information required is in that free eBook or on this website so check out the rest and sign up for my full smart psoriasis diet resource kit here. By the way if you have tried any of the above mentioned products, can you please leave a comment and tell me your thoughts. I would really appreciate it. And remember, try not to get scammed! I am running a special Psoriasis and Stress Management month for the month of February. I will have lots of useful blog posts and content which can hopefully help lower your stress levels which will in turn improve your psoriasis. If you are new to the site please sign up to my newsletter here so you won’t miss out! Written by blog founder john.